My room is finally finished and I'm so glad because I have yet to write out my lesson plans for next week. Here are just a few pictures of my favorite parts of the room. 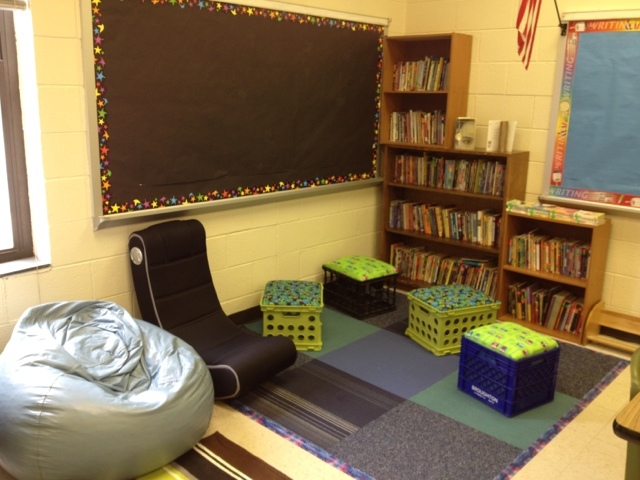 My reading area before I changed the bulletin board. 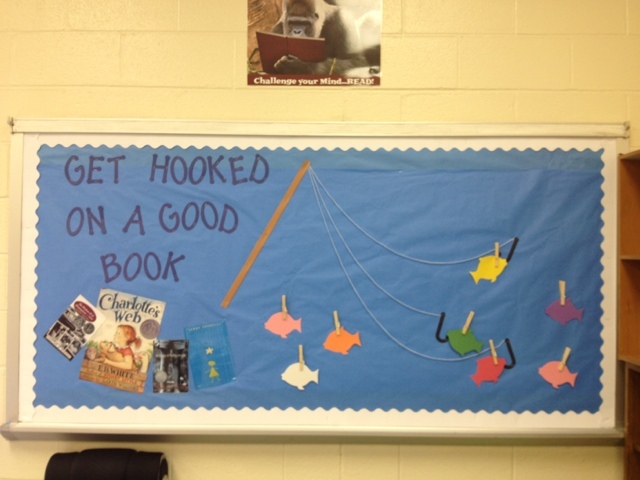 book recommendations on the fish for other students to look at. 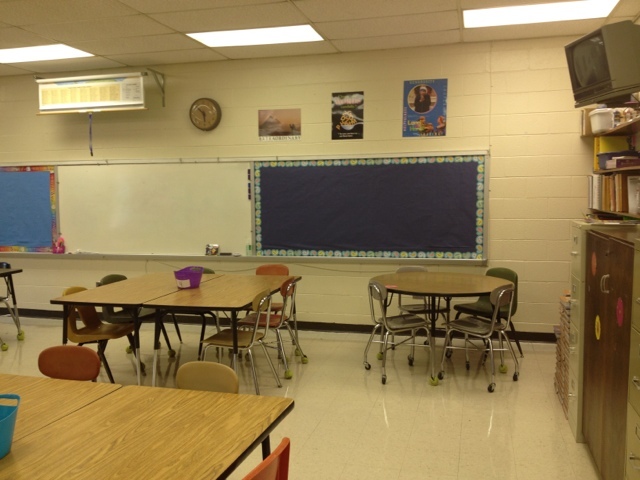 This is the back of the room. I have a small round table for conferencing with students. other side will be for their homework. 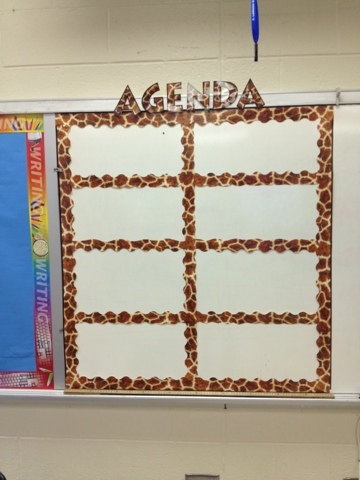 Next on my list of things to do is write out name tags for students to find where they are to seat, figure out a way to organize make up work and then start writing my lesson plans! I'm so excited that the first day is right around the corner. I will feel even better about it once everything is ready tomorrow afternoon. I'm very thankful though that everyone at my school has been super helpful. I really believe I chose the right school to teach at and can't wait to see what this school year will bring! Looks great! 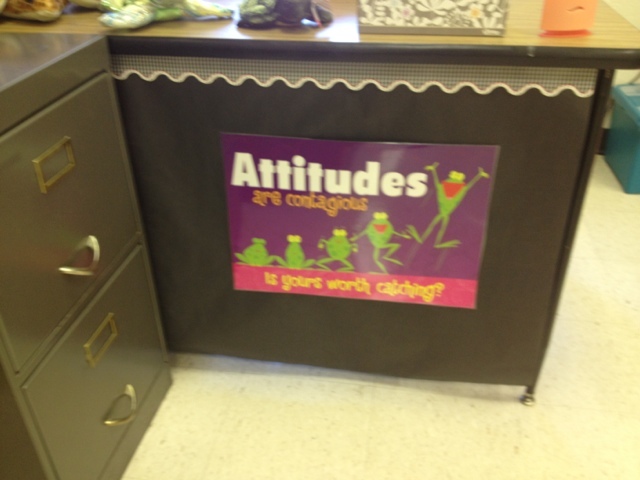 I love your attitudes poster! I am your newest follower!